Catladyland: Cats are Funny: It's a Tidy Cats Coupon Giveaway Extravaganza! 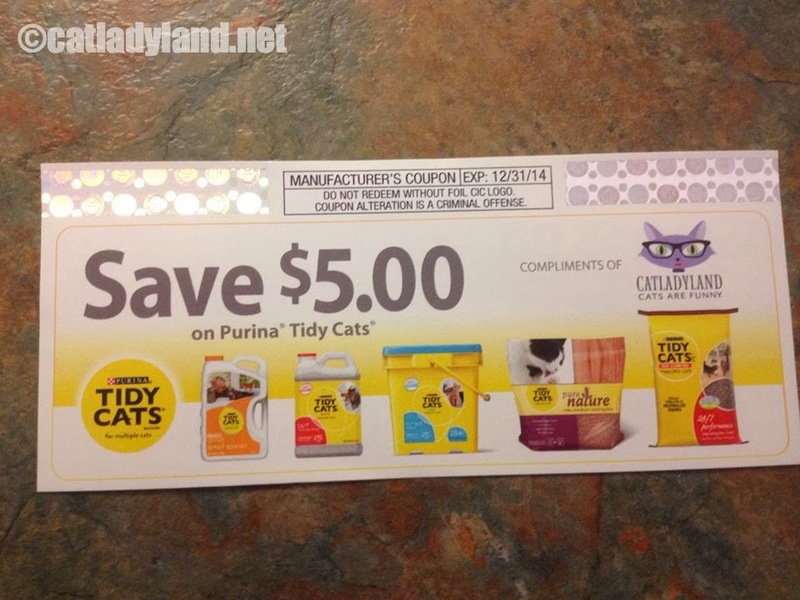 It's a Tidy Cats Coupon Giveaway Extravaganza! You'll never guess what happened! 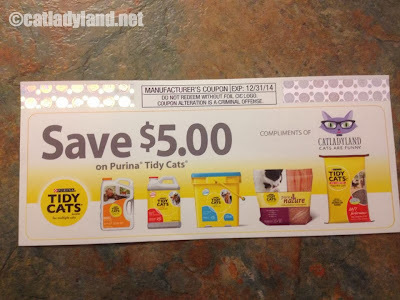 Our good friends at Tidy Cats gave us the opportunity to co-brand some awesome cat litter coupons. They recently arrived in the mail and look so cool! 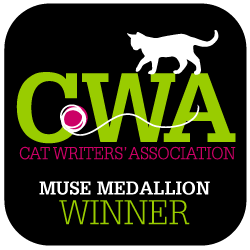 We love our Tidy Cats! Because you're the pick of the litter (haha) we've decided to give a bunch of them away to Catladyland readers. By "a bunch" we mean we'll give a fat stack of ten $5 off coupons to ten readers. 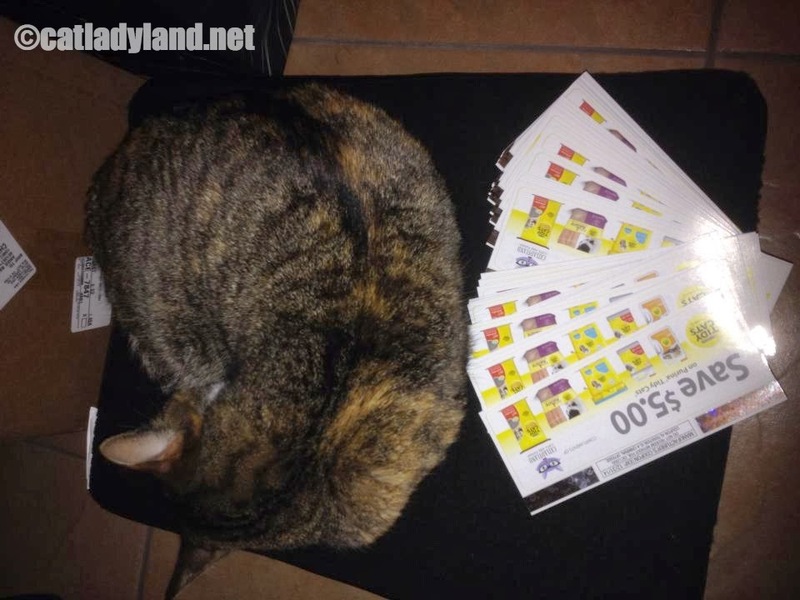 We'll also mail a pile of coupons to a local rescue. Fat stacks on my cat! The giveaway closes at 11:59pm CDT on Wednesday, January 3, 2014. 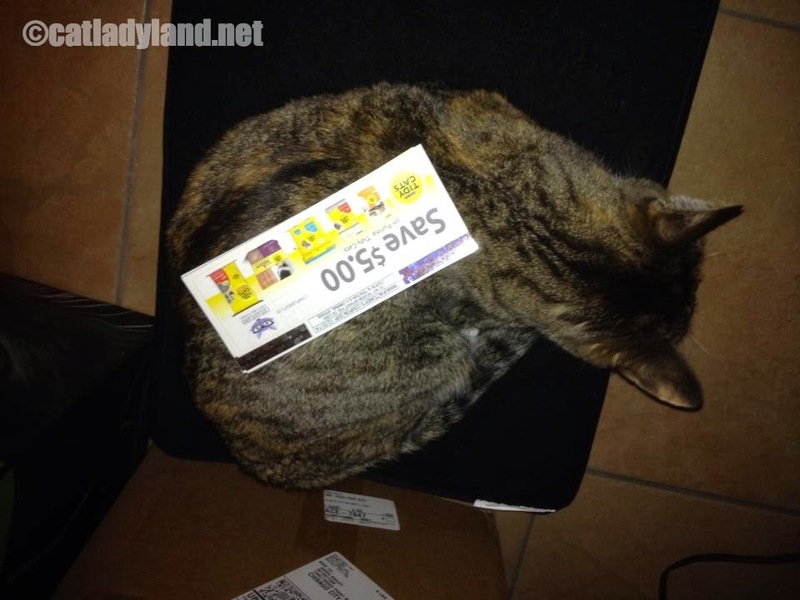 I love Tidy Cats! My five furbabies do too..I would like to be included in the give-away. jermar93@comcast.net is my email, my name is Mary.